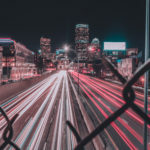 We are excited to announce that for the third year straight, ownCloud has been nominated for Storage Insider Readers’ Choice Award for Enterprise File Sharing! Now we need your help to win this. 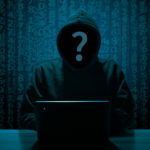 The IT Award is presented by the IT expert portals BigData-Insider, CloudComputing Insider, DataCenter-Insider, DevInsider, IP-Insider, Security-Insider and Storage-Insider. 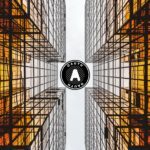 Participating companies compete in 42 categories divided into seven IT specialist portals: BigData Insiders, CloudComputing Insiders, DataCenter Insiders, DevInsiders, IP Insiders, Security Insiders and Storage Insiders. Then, 30,000 readers will select this year’s finalists by casting their votes over the next few months. In each of the 42 categories, the first three places are awarded in platinum, gold and silver. Thanks to you, ownCloud won the last 2 years! 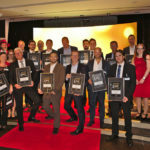 ownCloud winning the platinum award in 2017. Harald Weimer (2nd from the right) receiving the award for ownCloud. 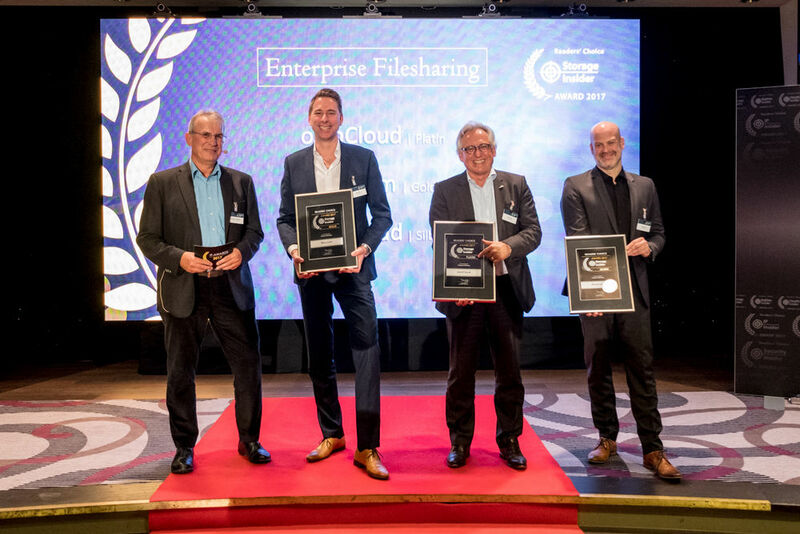 ownCloud has accepted platinum, the highest award given, in 2016 and 2017 for the Enterprise File Sharing category. 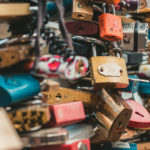 Last year, the trade visitors acknowledged the high focus that ownCloud places on guaranteeing maximum security standards in its technology. While ownCloud came in first place, Box.com was awarded second and Nextcloud took home third. We see the successful defending of the title as a great confirmation of our efforts to make corporate file sharing even more secure. Harald Weimer, CSO of ownCloud. Let’s make this a three-year streak (and beyond) and keep on defending our title as number one for Enterprise File Sharing! Our previous wins, of course, would not have been possible if it wasn’t for our loyal users, admins, customers, partners, and community who voted for us. So, please vote now! The voting period is open until August 31st and winners will be announced on October 11th.